Ghostbusters wasn't just a hit movie, it was also a hit song by Ray Parker Jr., and in the summer of 1984, you couldn't turn on a radio without hearing this catchy jingle. Only later would we learn it was ripped off from Huey Lewis & The News' 'I Want a New Drug'. 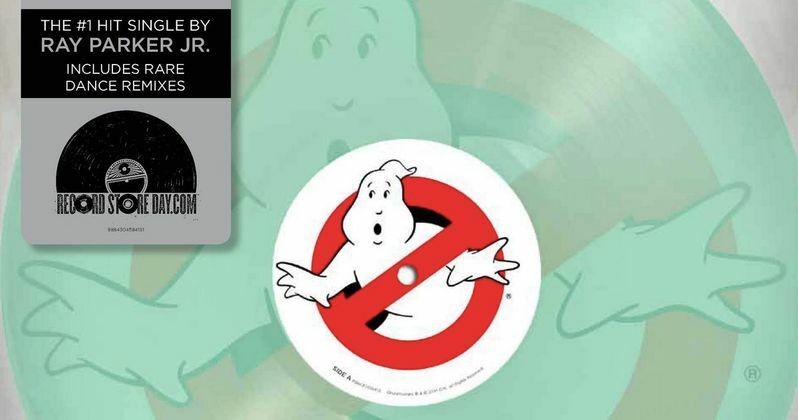 Neither party is allowed to speak of the lawsuit, but that hasn't stopped Columbia Pictures from celebrating both Record Store Day and the song's 30th Anniversary with a new limited edition glow-in-the-dark 10-inch that includes rare dance remixes. Available in participating stores April 19, there are only 1,000 copies of this collectable pressing. You better hurry and reserve yourself a spot in line. More Info: 10" glow in the dark single.